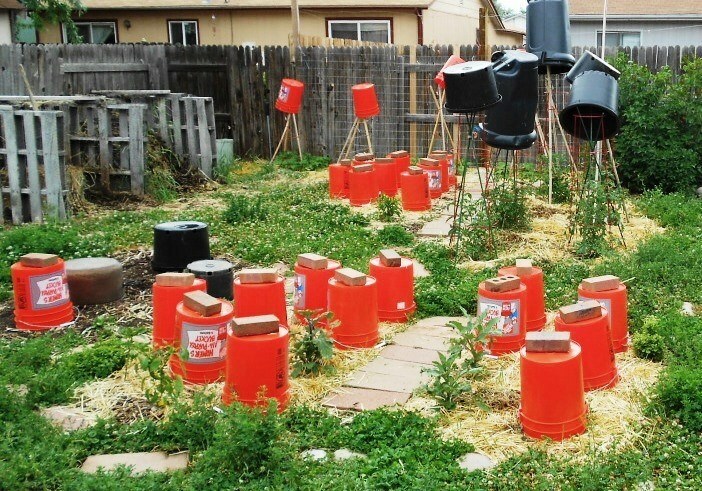 Yesterday we covered using 5 gallon buckets as protection from flooding. Today I have a little bit more to say on protection from the elements with buckets. A 5 gallon bucket can protect against just about any weather condition that can cause damage – including wind, rain, sun exposure or even hail. This is the chicken plucker we used last week to butcher a couple dozen old hens that aren’t producing eggs anymore. The chicken plucking process needs a strong and steady stream of water, which due to our motor design, has shorted out the engine when it got just a bit too wet. 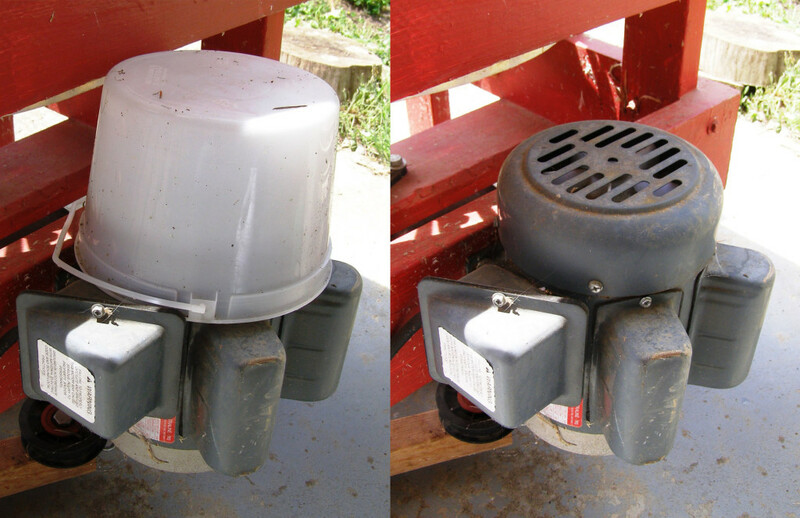 So when we’re running the plucker, we cap the engine with a small ice cream bucket placed upside-down to keep out the water. The exact same principle can be applied to anything that needs to be shielded from rain. 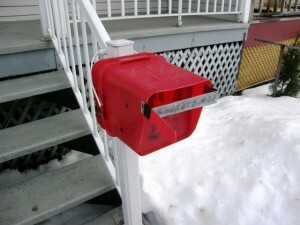 Like the outdoor microphone we mentioned in a recent article, or the bucket mailbox which is essentially just a little weatherproof house for your mail. Perhaps most importantly, you can protect your entire garden from hail damage by breaking out every bucket you own and shielding each individual plant, just like gjcore from Photobucket is doing here. Weighing down each bucket with a brick ensures that strong winds don’t whip them away. 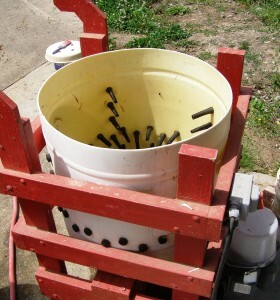 You’ll also notice that for the taller plants, gjcore is using larger buckets – and even trash cans – suspended from the tomato trellises.